Richard Connell’s 1924 action thriller is both intellectually stimulating and fully kickass, so let’s get it up on screen with the respect it really deserves. In 1924, Richard Connell published The Most Dangerous Game, a thriller set on an imposing island in the middle of nowhere. On this small tract of forbidding land, a game hunter named Sanger Rainsford matches wits and philosophy with fellow hunter General Zaroff. The catch? Rainsford is being hunted by the deranged Cossack, an elite nobleman who’s in search of the ultimate sport. In just a few short pages — which you can, and should, read right here — Connell tackles a variety of heady concepts from the real value of a human life to the moral philosophy of the hunt. This is no dry, overly academic Heart of Darkness-style slog, though. The Most Dangerous Game is an action-packed tale that effortlessly and subtly blends its high-minded themes with white-knuckle set pieces. And yet, in spite of the fact that this story has influenced (or just been flat-out ripped off) by innumerable shows and movies, this towering piece of short fiction has never gotten the proper cash-grab Hollywood reboot it deserves. A pompous a-hole named Sanger Rainsford is happily enjoying his place as one of life’s “hunters,” a title he employs literally as a famous game hunter. At that moment, in fact, he’s off to Rio to hunt jaguars. When Rainsford hears three shots off the ship’s bow, he jumps up onto the ship’s railing and falls overboard. 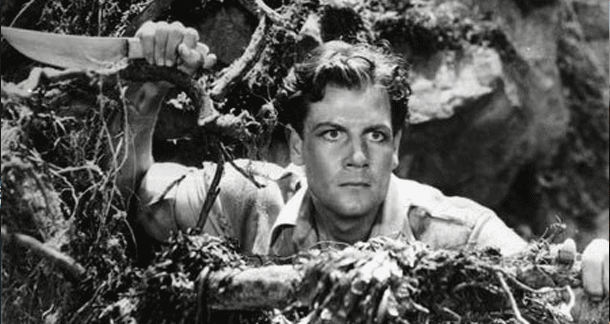 Ever the man’s man, though, Rainsford swims towards the sounds of the gun shots, only to find himself on infamous Ship-Trap Island, a bit of land with a reputation for snapping up passing ships and disappearing sailors. On Ship-Trap, he meets a man introduced as General Zaroff, a Russian expat who left the country after the Communist debacle”. With Zaroff is his giant Russian buddy, Ivan, a deaf-mute who previously had a job whipping people to death. Zaroff is a lifelong hunter who tells his tale with relish. He happily recounts his youth murdering birds, his early manhood spent stalking jungles and the savannah in search of dangerous game. Ultimately, though, Zaroff laments that he became bored with the sport. Until, that is, he discovered a prey that is truly difficult to track, a prey that reasons: human beings. 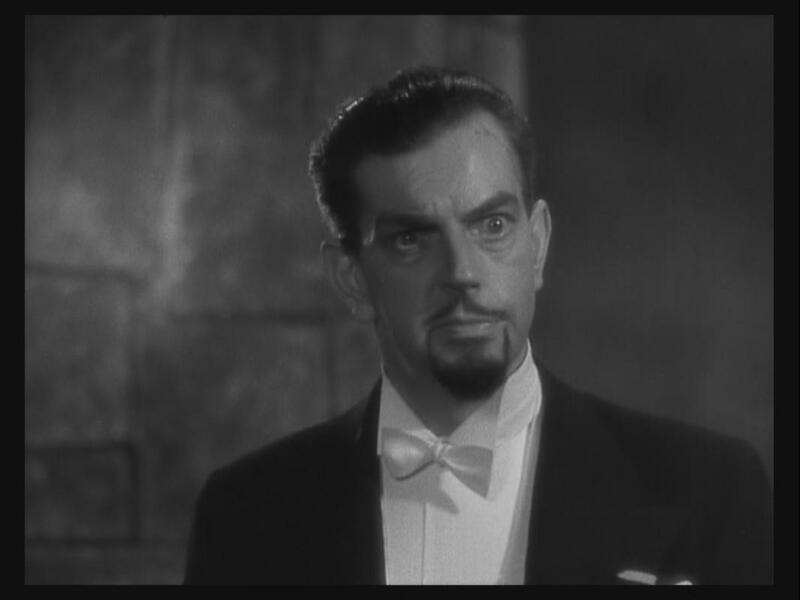 Naturally, Rainsford is totally freaked out by this, calling Zaroff a murderer. Zaroff, of course, doesn’t care for that term, saying essentially that what he does is no different from hunting. To prove his point, Zaroff sends Rainsford into the wild of Ship-Trap Island with the promise that if Rainsford can survive three full days, hell be free to leave. In the very act of becoming prey, Rainsford is forced to confront his past behavior while pitting his wits against a deadly foe in a game of what Zaroff calls “outdoor chess.” It enacts in Rainsford a transformation that … doesn’t go where you think it will. The basic plot of The Most Dangerous Game has been aped dozens of times. Which makes sense; having one person hunt another is pretty good action fodder, without being too difficult to set up. In fact, directors have been transplanting the story for decades. The Most Dangerous Game was the inspiration for both Predator and Battle Royale. In addition, both Ice-T (in Surviving the Game) and Jean-Claude van Damme (in Hard Target) have been hunted for sport. In addition, Homer Simpson, Bob Belcher, Stan Smith, the Incredible Hulk, those kids from Supernatural, John Leguizamo, and countless video game characters have all been hunted to appease the boredom of a rich old man. There’s even an upcoming video game based on the story. Some have suggested that the ubiquitousness of the plot has undermined the ability of The Most Dangerous Game to get the adaptation it deserves. That’s too bad, because the source material is a dense, but tightly drawn, read. The original story did get one faithful film adaptation, in 1932, when RKO Pictures commissioned an adaptation. The film starred Joel McRea as Rainsford, and Leslie Armstrong as Zaroff. Robert Armstrong and Fay Wray were tapped as other leads for the film, working under the direction of Irving Pichel and Ernest B. Schoedsack. If any of those names sound familiar, they should. Armstrong, Wray, and Schoedsack were all heavily involved (simultaneously, it should be noted) with the production of King Kong. In the end, King Kong managed to steal a large portion of the film’s thunder. The films shared the same sets, the same actors, and the same creative talent, with the exception that all eyes (and the majority of the studio’s budget) was focused on the giant ape. Originally, The Most Dangerous Game was intended to follow the release of King Kong in order to capitalize on the presumed fame that Kong would deliver the stars. When the technical aspects of the horror film ran long, though, The Most Dangerous Game was released first, to little fanfare. In a world where Angry Birds is set to get a full-on, CGI’d adaptation, surely there’s room for The Most Dangerous Game. Idris Elba wouldn’t mind hunting Michael B. Jordan across a low budget patch of rocky island. It wouldn’t cost a lot beyond estate rental, dog training, and the salaries for Elba, Jordan, and Dave Bautista as Ivan. What’s that … $25 million if it’s done right? Plus marketing? DVD sales alone would make that back. What’s more, a sharp script and an enterprising young director could add some serious depth to a game of cat and mouse between two merciless men.